The course fee includes ALL Tuition, on-site accommodation, all meals and local travel transfers. BrookDance is an intensive training and development programme led by International Dancers and choreographers. We are proud to announce our mentors for 2019; Sarah Reynolds (NDT) and Theo Clinkard. BrookDance 2019 is a two week course. Access to Forest Walks on your doorstep and enjoy the natural surroundings. Sarah and Dominic will explore different styles of form in an effort to explore freedom of movement. Nonform based dance often gets confused with shapeless lack of skill. And perhaps that may be true. But what if we find that shapelessness is simply another form of movement. How can we as dancers use forms to investigate the in-betweens - the moment of transition. How can we develop our skillset, making use of different forms to find freedom in transitioning between them seamlessly. An opportunity to embody and discuss the practices that lie at the heart of Theo’s work. He will be inviting dancers to bring attention to their perceptive experience of the space, of the other dancers and of their own moving body to find greater lucidity in action and a sense of connection within the group. This will be followed by phrases and group improvisations that encourage articulate and expansive dancing. Theo will then share some exploratory and creative tasks from various creative processes, many of which use working with response to divert performers self consciousness. Theo will be cultivating a generous and inclusive safe space for all those that attend. Sarah Reynolds was born in Dublin where she trained with Ella Doran and Phil Cole, and participated in Shawbrook Summer Schools. She then moved to the U.K. where she trained first in Yorkshire with Dorothy Stevens then at Central School of Ballet in London. Upon graduating she worked in France and Germany with Marguerite Donlon before joining NDT in 2004. Sarah has been creating and performing with the company since then and has had the great privilege to work with artists that come through the NDT doors. She has also branched into film working with Dutch director Clara van Gool first on short film Voices of Finance and more recently The Beast in the Jungle. Sarah regularly teaches and coaches (pre-) professional dancers around the world. Originally from Michigan, USA, he received his B.F.A. from The Juilliard School in 2006. After his studies he joined La La La Human Steps (2006-09) under the direction of Edouard Lock for the production “Amjad”. He then spent some time as a guest with Les Grands Ballets Canadiens de Montreal before joining Nederlands Dans Theater in December of 2009. At NDT he had the opportunity to work with Crystal Pite, Johan Inger, Jiri Kylian, Sol Leon and Paul Lightfoot as well as several other choreographers.Following his time at NDT, he joined Sharon Eyal and Gai Behar, and toured internationally as a member of their company L-E-V, and is now working as a freelance artist. Theo Clinkard is based in Yorkshire and his practice spans choreography, pedagogy, performance and design. Since launching his company in 2012, he has steadily built an international reputation for creating affecting and visually arresting dances for small to large-scale theatres and non-theatre settings. Past company productions include Ordinary Courage, Chalk, Of Land & Tongue and This Bright Field and his company have toured to Chile, Ireland, Switzerland, and Germany. Current works include The Elsewhen Series; a set of duet scores for gallery and museum spaces that he will perform with regular his collaborator, Leah Marojević and a new group work The Century Project (working title) that will not be performed for 100 years. 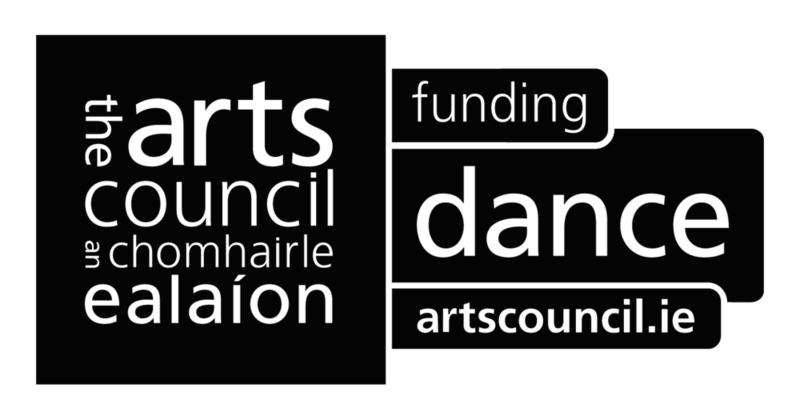 Recent commissioned works include works for Tanztheatre Wuppertal Pina Bausch and Danza Contemporanea de Cuba, whilst a new work for Candoco Dance Company will premiere in October 2019. Theo regularly leads intensives workshops, residencies and classes internationally for professional companies, dance organisations and training institutions, including engagements in Chile, Belgium, Ireland, Germany, Wales, Scotland, Australia, New Zealand, Switzerland, United States, France, Spain, Cuba, Italy, Finland, Sweden and Norway. He is an Associate Artist at Brighton Dome & Festival, Dance4 and an Honorary Fellow at Plymouth University.